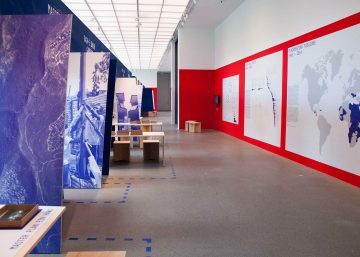 The exhibition is based on project work carried out over a number of years by a network of architects, urban planners and scholars on the international platform ‘Archis Interventions’, as a response to specific post-conflict situations in war zones and to provide support through active intervention in the rebuilding of cities as a means to ensure peace. War and conflict are a constant across time. 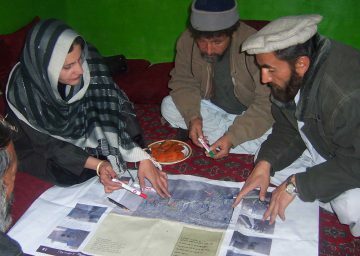 To confront this reality, peace missions, rebuilding operations and international laws have been developed as tools to help create stability and peace after conflicts. 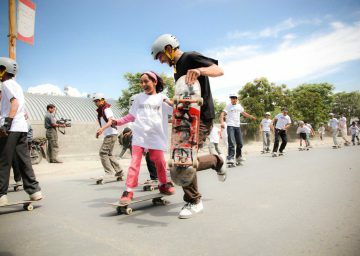 This is very important, but the road to sustainable peace is arduous and difficult. 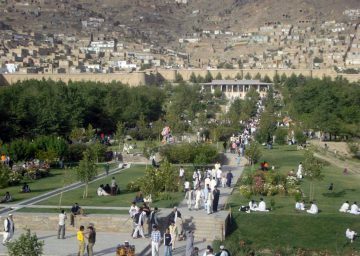 Furthermore, rebuilding and urban planning strategies can rekindle old conflicts. 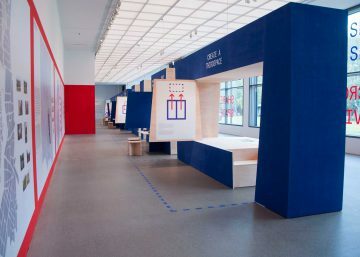 This exhibition ‘The Good Cause’ is divided into two sections. 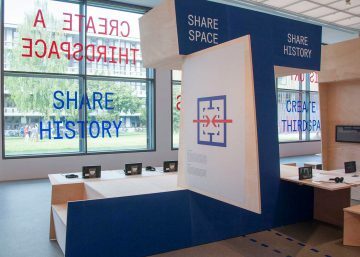 The first, under the heading ‘Architecture of Peace’, shows what reconstruction could look like if it were designed with an eye for local structures, tracing inspiring case studies from Afghanistan, Kosovo, South Africa, Rwanda, Israel and Palestine. This requires a specific attitude and strategy, for example modesty, sensitivity to context, trust, and attention on continuity. These ‘factors for success’ are examined for each case study. For the general public in Western Europe peace missions are frequently perceived as remote issues, far removed from everyday life. It should, however, not be forgotten that Germany as a nation is present in many armed conflicts all over the world. The presence of German troops in peace missions and the impact of refugee migration in Germany, and Munich in particular, represent a direct link to our daily lives. 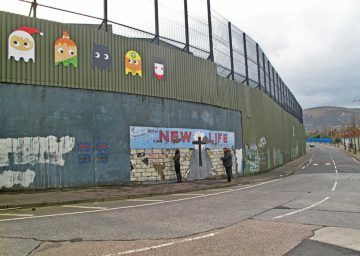 The second section of the exhibition, ‘Divided Cities’, is dedicated to the reality in cities in Europe which have become divided as a consequence of violent, ethno-national conflicts. Selected examples show how unsolved conflicts can be counteracted with non-violent means and thus contribute towards ending separation. 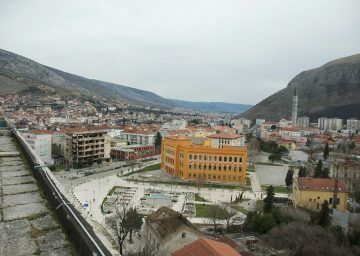 The exhibition presents planning and architectural projects as part of various initiatives, as integral components of planning strategies in Belfast (Northern Ireland) and Nicosia (Cyprus), aimed at bridging the divide or creating shared spaces for multiple communities, as seen in Mostar (Bosnia-Hercegovina) and Mitrovica (Kosovo). Other strategies to overcome such divisions incorporate an examination of a shared history which can be preserved by creating projects for a shared future – a future development serving the needs of all citizens. 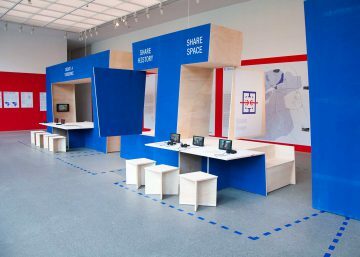 Last but not least, activists, artists and architects are creating so-called ‘third spaces’, virtual and real spaces not perceived as related to the conflict. 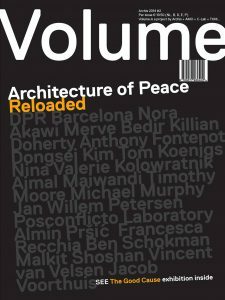 Volume #40 ‘Architecture of Peace Reloaded’, with an insert entitled ‘The Good Cause’ will be pulished by Archis in July 2014 to accompany the exhibition. 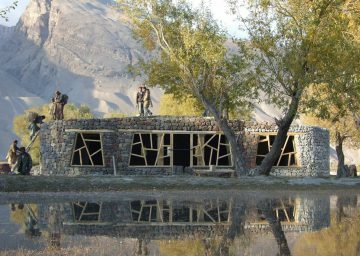 Architecture of Peace is a long term international research project initiated by the international architecture platform Archis in collaboration with a number of different partners. 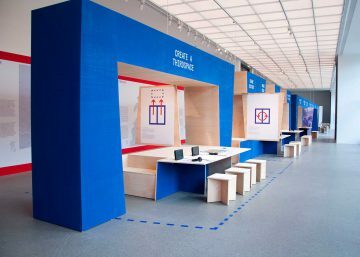 The exhibition is being curated by Lilet Breddels, Arjen Oosterman and Kai Vöckler and coproduced by the Architekturmuseum der TU München.